Nature. The Proceedings of the National Academy of Sciences. The Journal of the American Medical Association. These are some the most elite academic journals in the world. And last year, one tech company, Alphabet’s Google, published papers in all of them. The unprecedented run of scientific results by the Mountain View search giant touched on everything from ophthalmology to computer games to neuroscience and climate models. For Google, 2016 was an annus mirabilis during which its researchers cracked the top journals and set records for sheer volume. Behind the surge is Google’s growing investment in artificial intelligence, particularly “deep learning,” a technique whose ability to make sense of images and other data is enhancing services like search and translation (see “10 Breakthrough Technologies 2013: Deep Learning”). According to the tally Google provided to MIT Technology Review, it published 218 journal or conference papers on machine learning in 2016, nearly twice as many as it did two years ago. We sought out similar data from the Web of Science, a service of Clarivate Analytics, which confirmed the upsurge. Clarivate said that the impact of Google’s publications, according to a measure of publication strength it uses, was four to five times the world average. Compared to all companies that publish prolifically on artificial intelligence, Clarivate ranks Google No. 1 by a wide margin. The publication explosion is no accident. Google has more than tripled the number of machine learning researchers working for the company over the last few years, according to Yoshua Bengio, a deep-learning specialist at the University of Montreal. “They have recruited like crazy,” he says. 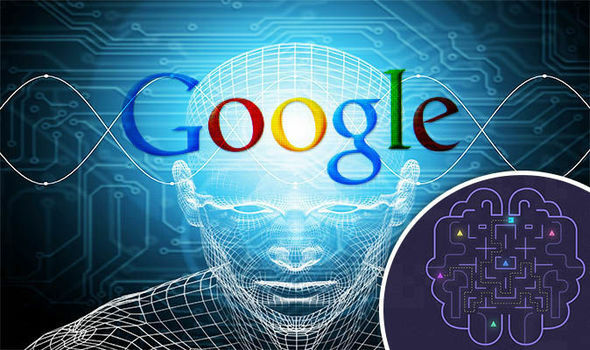 At Google, the scientific charge has been spearheaded by DeepMind, the high-concept British AI company started by neuroscientist and programmer Demis Hassabis. Google acquired it for $400 million in 2014. Last year, DeepMind published twice in Nature, the same storied journal where the structure of DNA and the sequencing of the human genome were first reported. One DeepMind paper concerned its program AlphaGo, which defeated top human players in the ancient game of Go; the other described how a neural network with a working memory could understand and adapt to new tasks. The contest to develop more powerful AI now involves hundreds of companies, with competition most intense between the top tech giants such as Google, Facebook, and Microsoft. All see the chance to reap new profits by using the technology to wring more from customer data, to get driverless cars on the road, or in medicine. Research is occurring in a hot house atmosphere reminiscent of the early days of computer chips, or of the first biotech plants and drugs, times when notable academic firsts also laid the foundation stones of new industries. That explains why publication score-keeping matters. The old academic saw “publish or perish” is starting to define the AI race, leaving companies that have weak publication records at a big disadvantage. Apple, famous for strict secrecy around its plans and product launches, found that its culture was hurting its efforts in AI, which have lagged those of Google and Facebook. Salakhutdinov will speak at MIT Technology Review’s EmTech Digital event on artificial intelligence next week in San Francisco.